Brickwork Direct Ltd - Builder, Hire Services based in South Shields, Tyne and Wear. 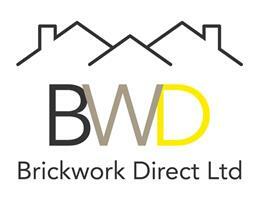 Brickwork Direct became a limited company back in 2003 and over the years we have grown from strength to strength. Overall our company has 100+ years of bricklaying experience across all sectors, including Education, Health, Social Housing, Private Housing, Bespoke residential developments, Retail and Commercial. We provide an open and professional service to all clients no matter how big or small the project is. We pride ourselves in the quality of our work and continually strive to improve our performance. We aim to complete every project we undertake on time, every time. Brickwork Direct Limited undertakes projects on a Labour Only basis, Labour Only & Sundries Materials and Labour Only, Mortar & Sundries Materials. Thousands of houses and residential properties throughout the North East are suffering from either wall tie corrosion or wall tie failure, and are in need of essential specialist remedial wall tie replacement. Brickwork Direct can survey your home and advise on the best solution to the problem. Our experience in previous brickwork projects means we can ensure to provide you with the best quality wall tie replacement. We offer finance options. Call for more information.